Today, for the first time ever, I made some home-grown-home-made-mint-tea (as it shall now be known). As the name suggests this is mint tea that I made from my mint plant which I got growing over winter in my indoor herb garden. Here is my indoor herb garden (in the early stages) and that’s the fabulous mint out the front. The concept of making your own herbal tea was only recently introduced to me from one of my clever work colleagues who, ever so simply, told me how she makes her own ginger tea. Now I am sure there are plenty of you out there who have been making your own tea for years, but for me, this is an entirely new concept. I had never before made the connection….. ginger = ginger tea? mint = mint tea? Sure, it makes perfect sense now that someone has pointed it out to me. (I told you this stuff doesn’t come naturally to me). Not only does it taste way better, home-made tea it is much better for you. 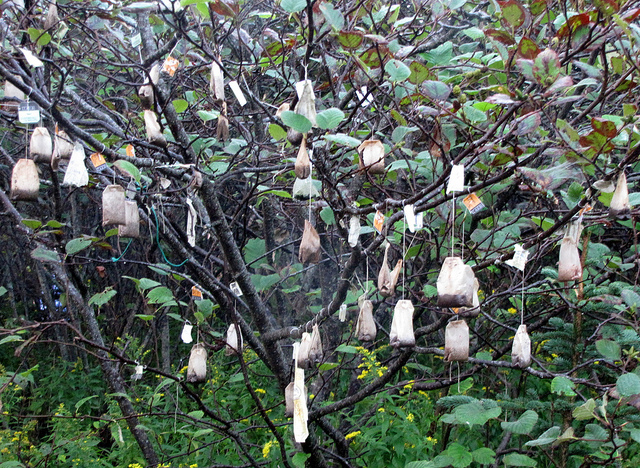 Pesticides are widely used in tea manufacturing and, recently, I have read a few articles about the other chemicals which can be found in your standard shop-bought teabag. If you want to read for yourself, here is an article from Food babe – Do you know what’s really in your tea which I found interesting. And for those times when you can’t grow your own tea leaves (I haven’t quite figured out how I am going to get a camellia sinensis plant to grow in the not-quite-subtropical-nor-tropical climate of Canberra…..) Choice.com.au did a test on teas available in Australia and here is a list which shows brands which contained pesticide residue and brands which didn’t. I then covered it with a bit of boiling water and then pestled/mashed the leaves around a bit with the pestle. (Does anyone know the correct verb I should be using to describe using the pestle as I’m fairly certain it isn’t pestled or pestles?). 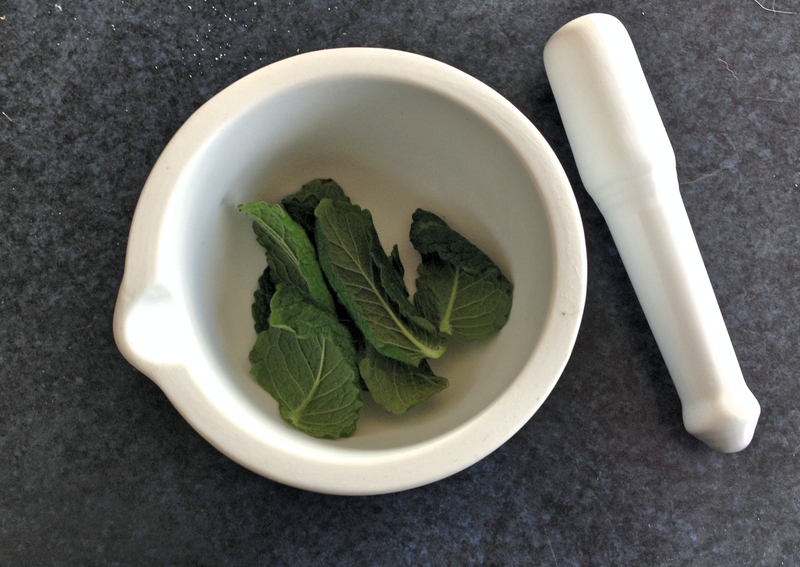 I then filled the bowl up with boiling water and left it brewing for about 5 minutes, after which I poured it through a tea strainer into my lovely tea-cup, and gave the mint leaves a few last pestles/mashes and that is it. Awesome. Another great thing about this tea, if you happen to get some of the “tea leaves” into your cup you can totally drink them. No yucky tea leaf business in this tea, just yummy, minty goodness. I am keen to try out other homemade teas, any suggestions? Categories: Drinks, Recipes | Tags: homegrown mint, homegrown mint ideas, homemade herbal tea, homemade homegrown mint tea, homemade mint tea, homemade tea, make it from scratch, mint tea | Permalink.